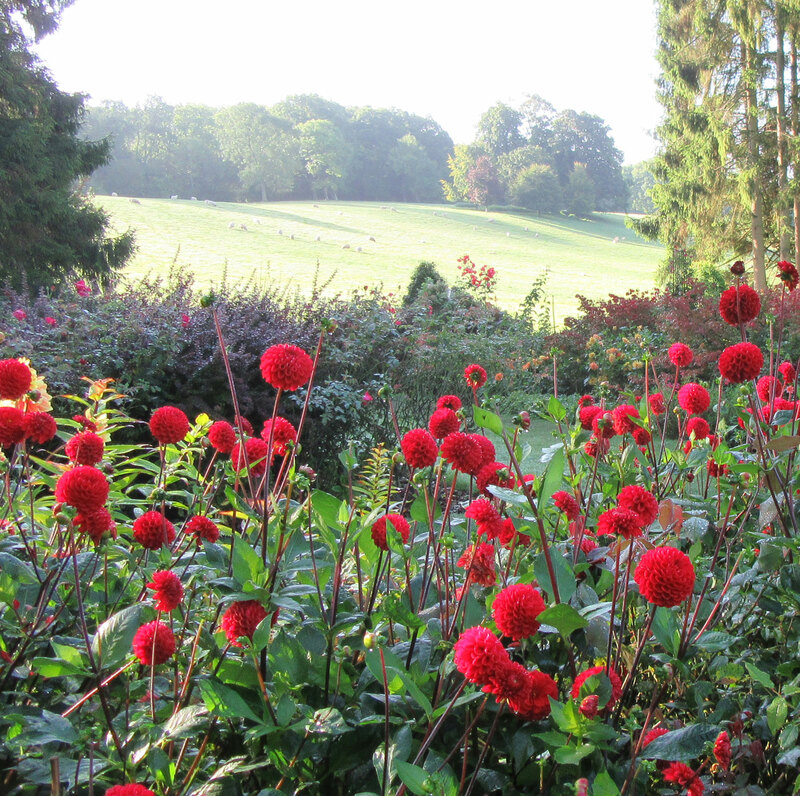 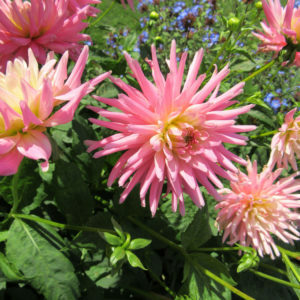 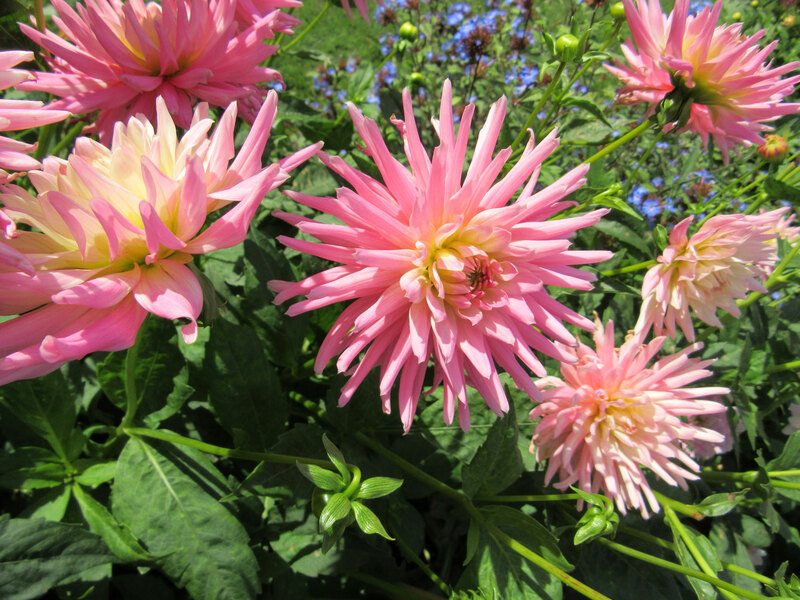 For updates on how the Dahlias are coming out please see our News Page or Facebook Page. 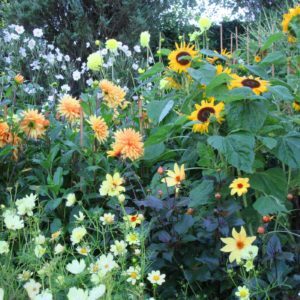 Over 40 varieties of this diverse perennial are planted throughout the garden; pinks in the Rose Garden, sunny yellows in the Golden Beds, whites in the Elizabethan Garden, purples in the Pool Garden and more. 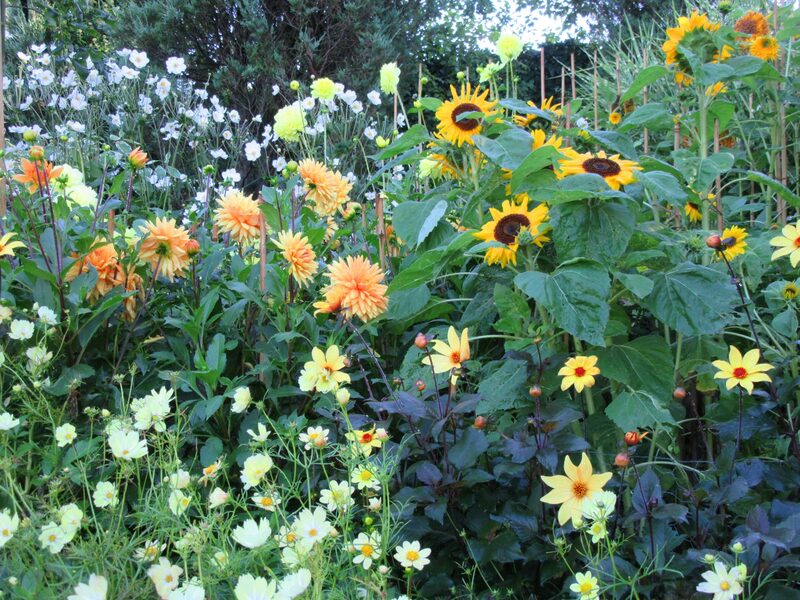 The pièce de resistance is the hot reds and oranges, interspersed with darker burgundys and complemented by the second flowering of roses, canna lilies, late flowering perennials and other annuals, in the magnificent herbaceous borders, which are at their best at this time of year. 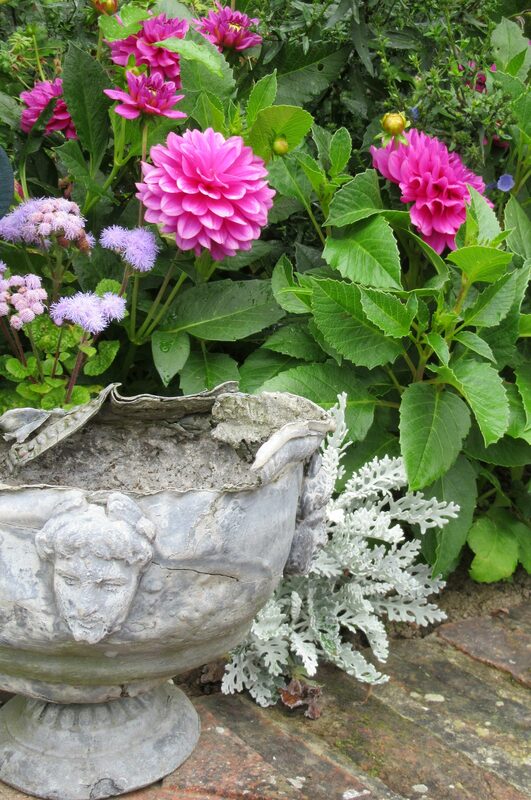 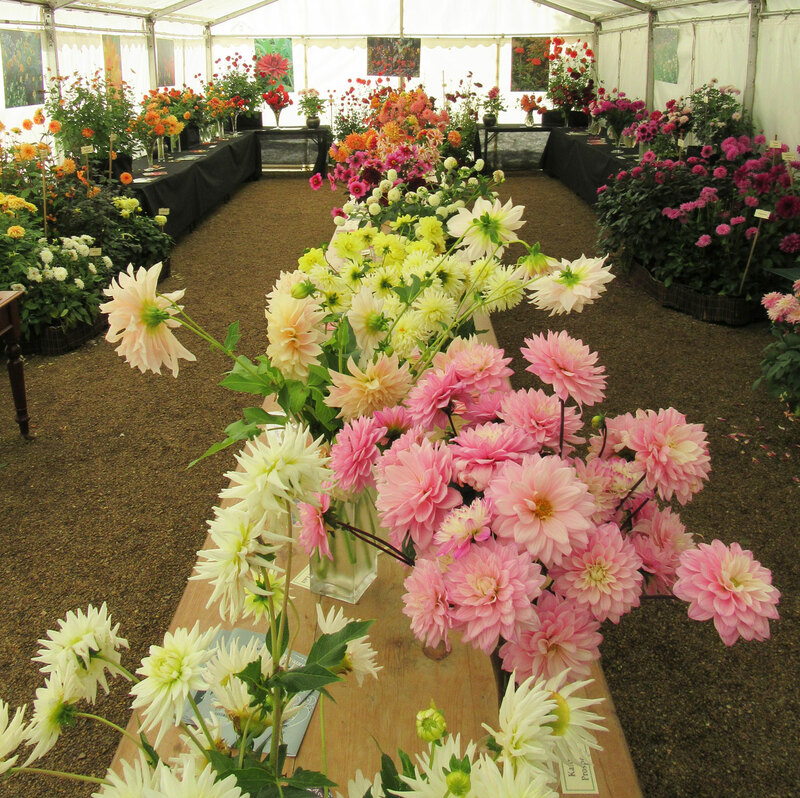 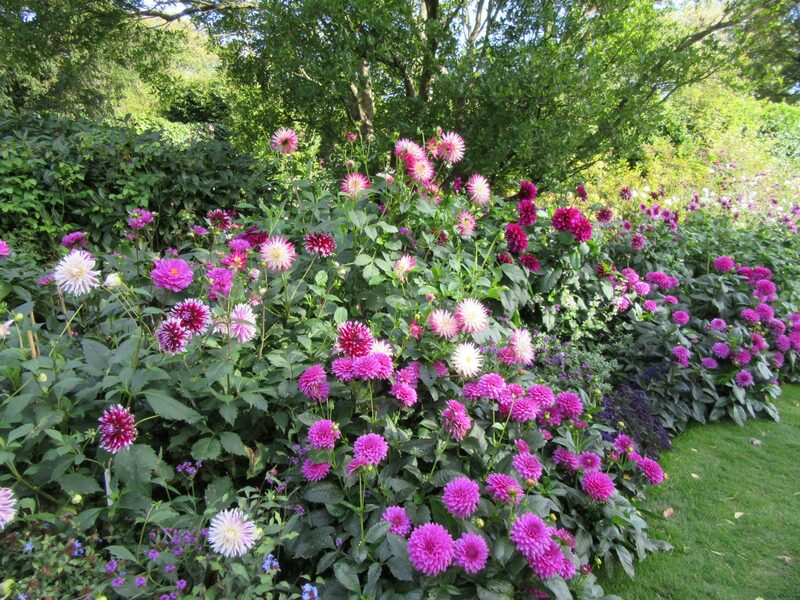 During Dahlia Days Bloms Bulbs will be at Pashley with a gorgeous display of cut/potted dahlias, giving advice and taking orders and Pashley’s gardeners will be giving talks on dahlias. 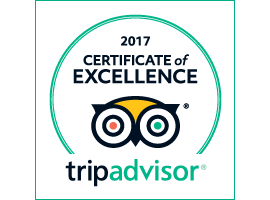 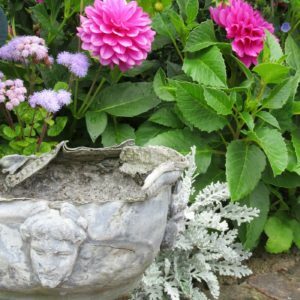 The café, with terrace, serves locally sourced and homemade cakes, scones and light lunches; the shop has gorgeous gifts, souvenirs and plants, and there are exhibitions of garden sculpture and floral art. 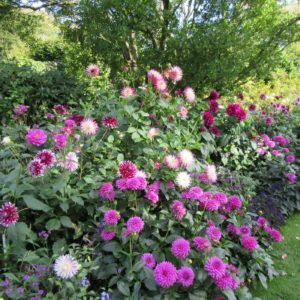 Whether you want to learn more about dahlias or just enjoy the eye-catching displays of these vivid, multi-hued blooms do come and spend a day in the gardens during this week of fantastic early autumn colour.